Our days of riding the quaint Wisconsin back roads past endless dairy farms have come to an end. 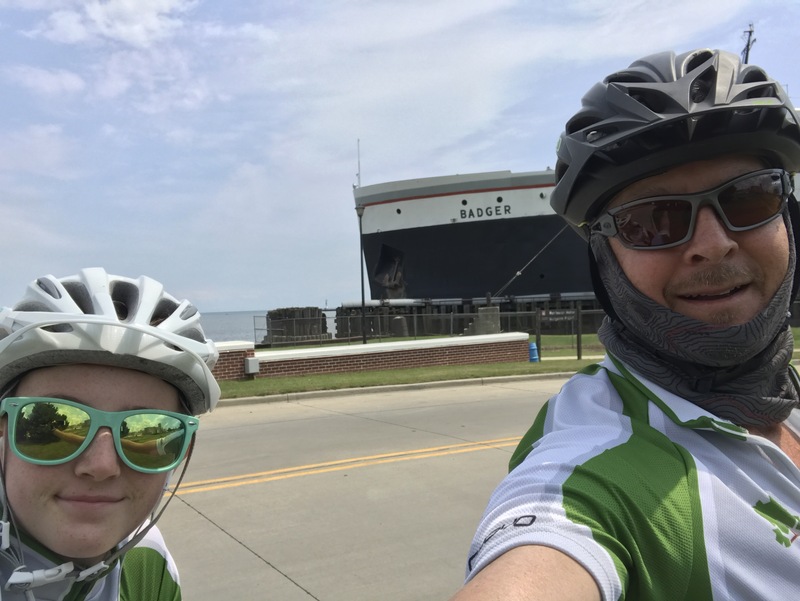 We rode into Manitowoc on the western Lake Michigan shore about 12:30pm to rendezvous with the Rig in preparation for our 2pm sailing on the SS Badger, last coal fired steamship in the U.S. Our 4-hour trip took us to Ludington on the Michigan peninsula. 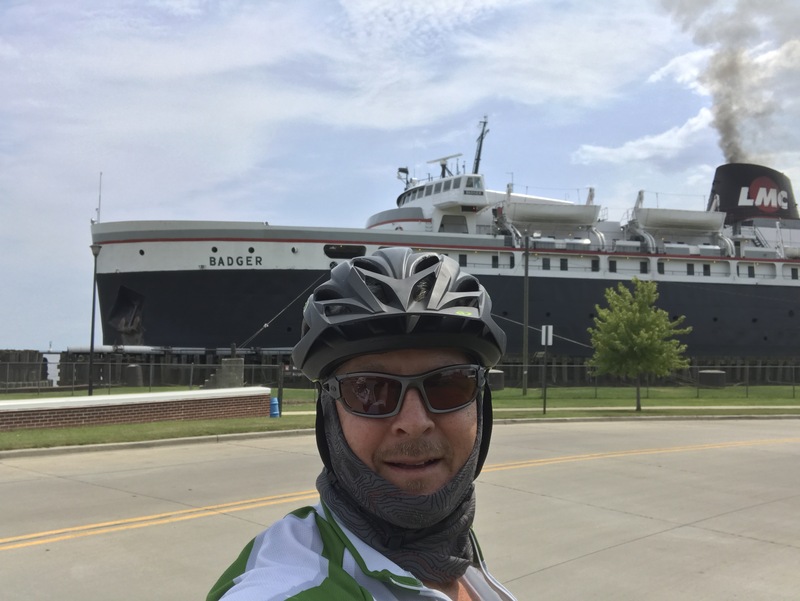 Glad to see you made Michigan and Prime Cherry country. Also good that the old Badger keeps running on coal. That should make the Trumpster happy. For what that’s worth? My previous wife’s Step Father used to work on that ship. Your Captain and Stoker handles fit well for the steam ship that is coal powered. Stoker now is automatic. All that WI rain at least kept the belt greased and the deer flies away.